Is Apple Cider Vinegar an Effective Treatment for Erectile Dysfunction? Can Apple Cider Vinegar Help Treat Erectile Dysfunction? Because many of the causes of erectile dysfunction are directly related to preventable health conditions and poor dietary habits, there is a growing interest in treating the condition with natural remedies rather than medication. Of these remedies, apple cider vinegar is at the forefront of those gaining the most scientific interest. 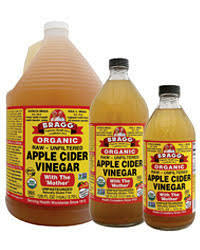 Apple Cider Vinegar (ACV) is fermented liquid made through a three step process. First, apples must be crushed and juiced, leaving the pulp to be discarded. Second, yeast and bacteria are added to the juice to cause an alcoholic fermentation process, much the way cider would be made. After all of the sugars in the juice have been eaten by active yeast and converted to alcohol, a second bacterial fermentation process takes place using special bacteria that form acetic acid which converts the alcohol into vinegar. The acetic acid along with the malic acid already present in the apples is what give the vinegar its sour apple taste. Is All ACV For ED the Same? The short answer here is no. Apple Cider Vinegar has many uses including food applications for salad dressings, marinades, and sauces, as an ingredient in natural cleaners, and applications in weed and pest control. However, in order to use ACV for its health benefits, it must be unfiltered. After the second fermentation process is completed, the vinegar will have strands of enzymes, proteins, and helpful bacteria floating throughout as well as sediment that make the vinegar cloudy, and sometimes give it a cobweb-like appearance (Gunners 2016, pp2). These stands and sediment, called the “mother”, contain trace vitamins, potassium, amino acids, and antioxidants which are credited with giving ACV it’s great health benefits. Most commercial ACV however, goes through a filtering process before it’s bottled and sold. This filtering process clarifies the vinegar, giving it an appearance similar to apple juice. However, in doing so, it removes the mother sediment, and all of the helpful benefits that come with it. If you are looking to get some Apple Cider Vinegar for erectile dysfunction benefits, a good rule of thumb is if it’s clear and looks like apple juice, then move on, but if it’s murky and stringy, then it will still contain the mother and be ideal to take as a supplement. The reason why ACV is being looked at as an effective aid in treating erectile dysfunction is not because its benefits directly combat the condition, but because it can help treat many of the symptoms that cause ED in the first place. Why Choose ACV as A Natural Remedy? Remember that Apple Cider Vinegar is not a miracle cure that is going to immediately reverse issues with ED. Depending on the symptoms that cause a person’s ED, whether or not they change certain habits, as well as their body chemistry, taking ACV may have either great or little effect. Despite this, taking ACV as a daily supplement can’t hurt and may help the body in other ways. Remember that in addition to the possibility of it treating ED, anyone who takes it regularly will reap all of the other health benefits mentioned above, making it worth looking into. The recommended dose is one or two tablespoons daily, either on its own, added to a cold drink or uncooked food such as a salad. Some people who take ACV experience a mild burning sensation which dissipates quickly or cough a little, but a tolerance is usually built over time, alleviating any mild discomfort. The bottom line is if you are suffering from erectile dysfunction, then you should give this inexpensive easy remedy a try. You have nothing to lose.